From the heart and soul of lifelong mental health sufferer; Adam Shaw, combined with the expert mind of talented and leading psychologist; Lauren Callaghan, this book is cohesively divided into two parts. Detailed from the separate perspectives of a sufferer and a psychologist is an insight into mental health recovery that sufferers can relate to. This book is brought to you by Trigger Press, as part of our innovative and philanthropic Pullingthetrigger range. Find out more at www.trigger-press.com. From the heart and soul of lifelong mental health sufferer; Adam Shaw, combined with the expert mind of the talented and leading psychologist; Lauren Callaghan, this book is cohesively divided into two helpful parts. Detailed from the separate perspectives of a sufferer and a psychologist is an insight into mental health recovery that sufferers can really relate to. In Part One we follow Adam's desperate lifelong struggle with OCD, anxiety, panic attacks and related depression, leading him to the brink of suicide. We witness his journey from the painful despair of a young man who never really understood the illness tormenting him. Meeting Lauren changed his world forever as she guided him on the road to recovery with a life free from mental health issues. Sufferers with any type of mental health condition will identify with Adam's suffer ing and the daily struggles he faced. Lauren's wisdom, expertise and compassionate approach led Adam to recovery and how she did this is captured perfectly as she provides valuable insight into why and how Adam struggled with his condition and what needed to be done to ensure his path to recovery and beyond. 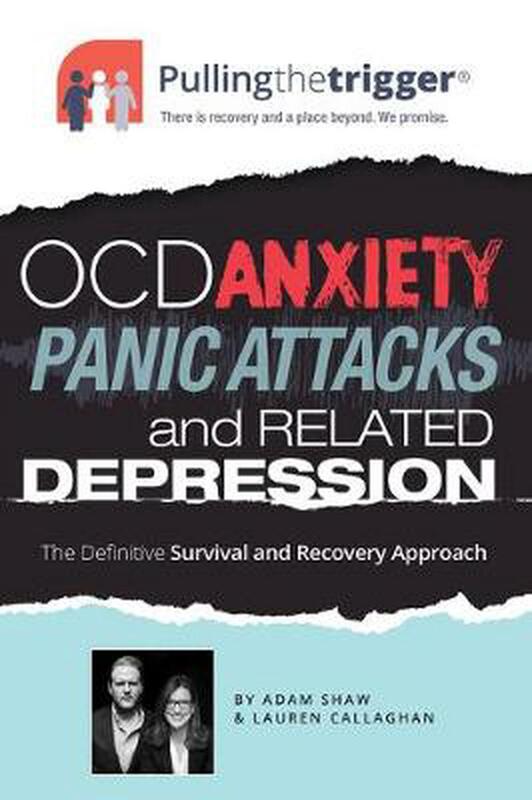 Part Two is Pullingthetrigger, the definitive survival and recovery approach for OCD, anxiety, panic attacks and related depression. It is a unique, user-friendly self-help approach to support and guide mild, moderate and severe sufferers to a place called recovery and beyond. Adam Shaw is a world wide mental health advocate, philanthropist, author, owner of a large mental health publishing company and co-founder of the successful global charity, The Shaw Mind Foundation. Adam lives in the UK and is married with 5 children. Now in recovery from mental health issues himself, he is committed to helping others suffering from debilitating mental health issues through the global charity he co-founded, The Shaw Mind Foundation. Lauren Callaghan (CPsychol, PGDipClinPsych, PgCert, MA (hons), LLB (hons), BA), born and educated in New Zealand, is an innovative industry leading psychologist based in London. Lauren was a psychologist at the specialist national treatment centres for severe obsessional problems in the UK and is renowned as an expert in the field of mental health, recognised for diagnosing and successfully treating OCD and anxiety related illnesses in particular. In addition to appearing as a treating clinician in the critically acclaimed and BAFTA award winning documentary Bedlam, Lauren is a frequent guest speaker on mental health conditions in the media and at academic conferences. Lauren also acts as a guest lecturer and honorary researcher at the Institute of Psychiatry Kings College, UCL.